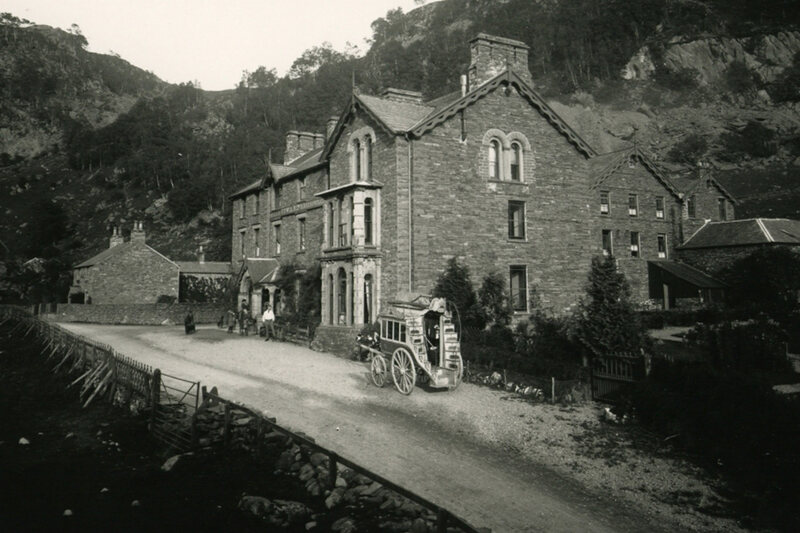 The Borrowdale Hotel has been taking guests since 1866 and was one of the first coaching inns built in the Borrowdale valley, remaining a favourite for returning guests ever since. The Graves family bought the hotel in 2008 starting a new era in the hotel's history. 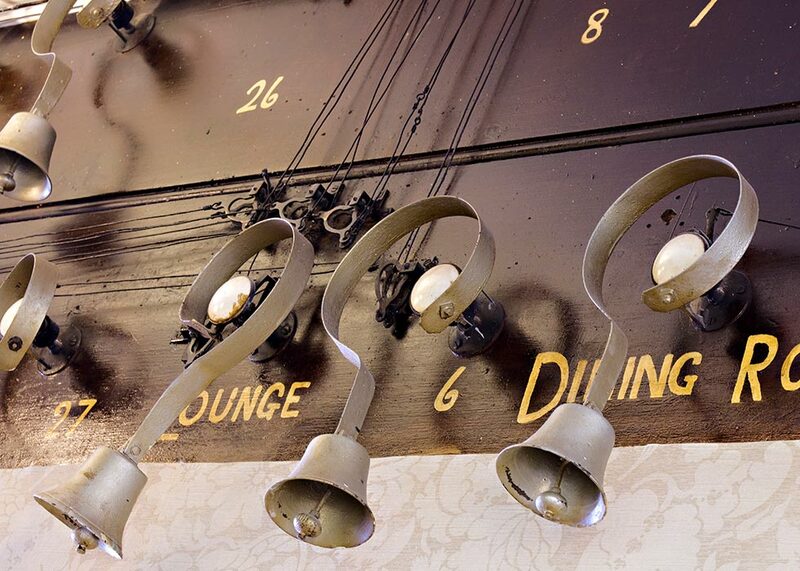 Many old features still exist in the hotel, most notibly the old bells opposite the reception. The hotel still has copies of adverts from the hotels first 20 years in which they proudly advertise “hot, cold and shower baths and collection by Omnibus from Keswick station!”. 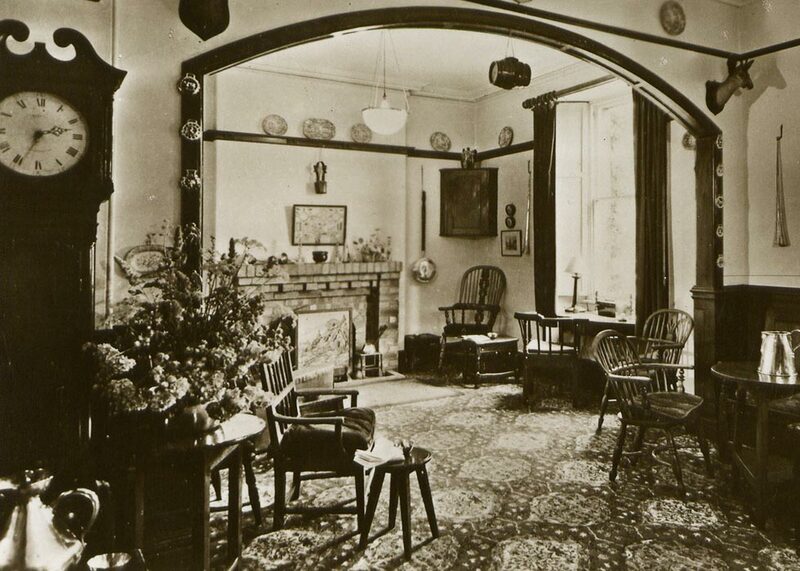 We have pictures throughout the hotels 140 year history and some original invoices too. 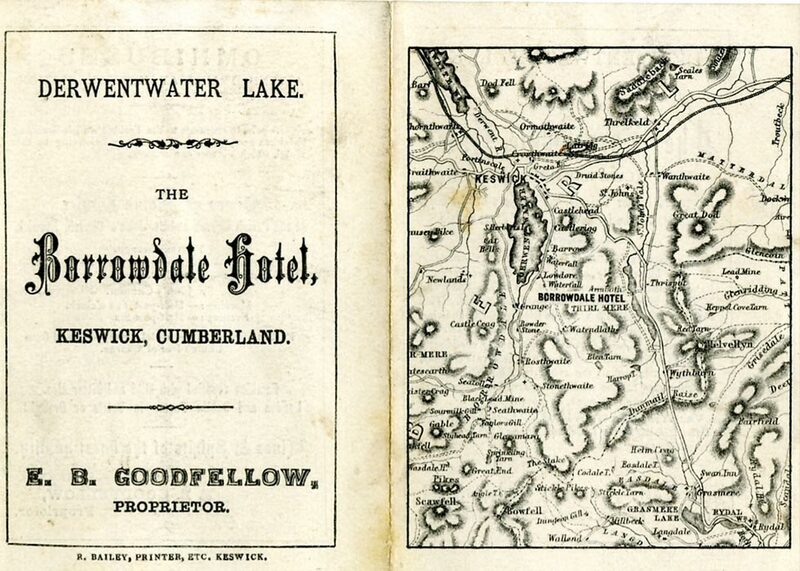 One of the earliest adverts for the hotel can be found in an 1879 publication “Gates Ewe Shepherds Guide for Cumberland and Westmorland and Lancashire”. The gardens were created at the same time as the hotel and the Cherry and Magnolia trees, planted the same year, can still be seen today. “Rarely do they both flower at the same time but it seems that the Magnolia tree has quite a following” said Kit Graves, Director. “In April and May we have quite a few lunchtime visitors who come specially to see the Magnolia in bloom. While it never flowers for long, it is a beautiful sight while it does!”. It is the history of the hotel that is fascinating. In its early days the hotel was patronised by “H.R.H. Prince Arthur, The Prince of Wales and other leading nobility of Great Britain”. 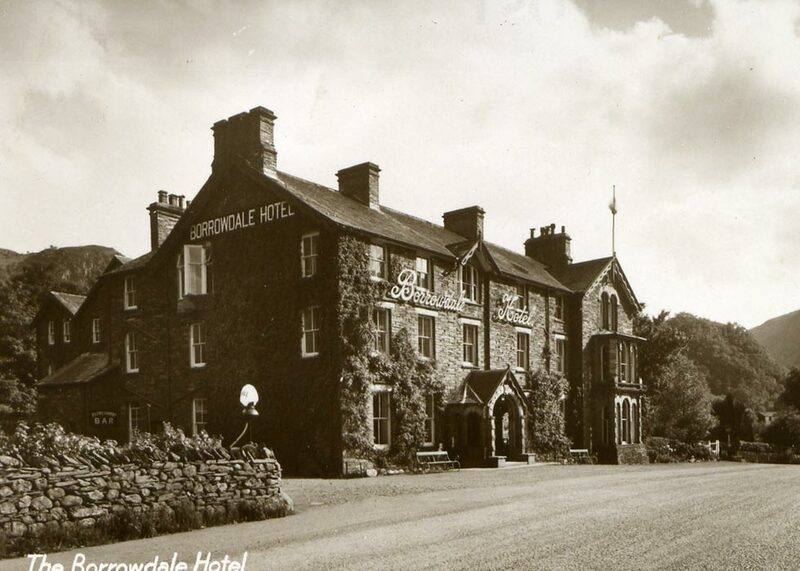 The Borrowdale Hotel has passed through several owners. The first were the Italian Cesari family who moved to the Lake District from Inverness, Scotland. The hotel includes an article from 1908 which discusses a fire which did £60 of damage! The Askew family ran the hotel and a coaching company that took guests to and from the station, and the original coaching timetable is part of the hotels collection. The Coward family and the Goodfellow’s have also been proprietors – some old photographs of the hotel highlight the name changes. During the early part of the 20th century two well known sisters were in charge - Mabel Leyland and Elsie Whittaker who ran the hotel during the Second World War. Elsie’s son Peter Whittaker (a previous owner of Treeby and Bolton, Keswick) took over before passing it to his brother Michael. It was Michael who then sold it to Jean and Gunter Fidrmuc at 5pm on 19th April 1973. In the early part of the 20th century the hotel was owned by Albert Hearfield and his family. It is belived that Albert sold the hotel to Thomas Bownass. Edward Barron Goodfellow appears in the 1881 census as the hotel keeper of the Borrowdale Hotel. He had married Hannah Armstrong in 1875 when he was 25 and she was 21. 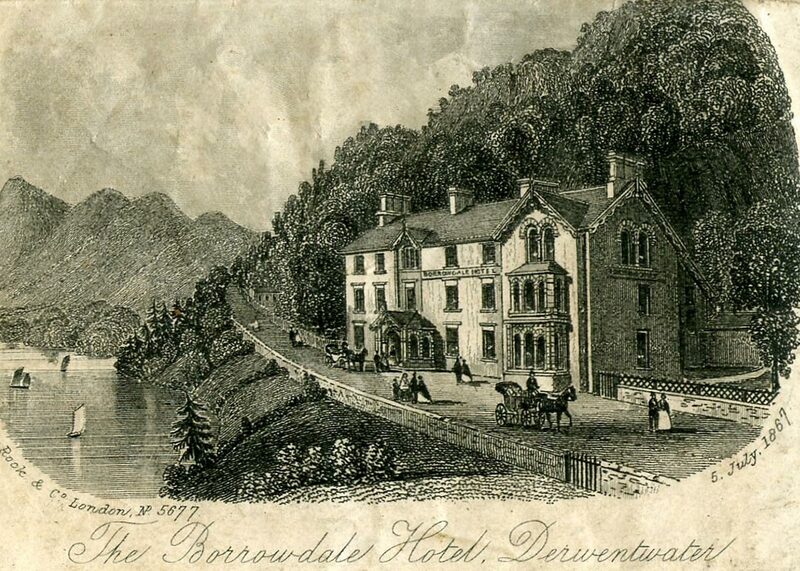 Hannah's parents, who are buried in Borrowdale cemetery, also ran the hotel before Edward appears as the hotel keeper. Edward had left by 1887. The hotel was owned by Thomas Bownass and run by his daughter Mabel Leyland (nee Bownass) (Peter & Michael Whitaker’s grandfather). Mabel was in Blackpool running the Imperial, and had only been there a year or so when she was called back. Her husband had been killed in WW1. Thomas installed a petrol pump and sold petrol to guests. The first pump was a wind up pump he also had an aviary for budgerigars next to veranda! Sisters Mabel Leyland and Elsie Whitaker ran the hotel during this period. Peter Whitaker took over the hotel for a short while before the otherside of the Whitaker family took over. The hotel was owned by Michael and Francis Whitaker. They installed electric in 60’s and sadly had to cut through the old bell cabling. Gunter and Jean Fidrmuc bought the hotel at 5pm 19th April 1973. They made extensive changes the hotel and during this time extended the bar, lounge and restaurant, added on the conservatory and veranda. They also stopped selling petrol! Owned and run by the Graves family as part of the Lake District Hotels Group. 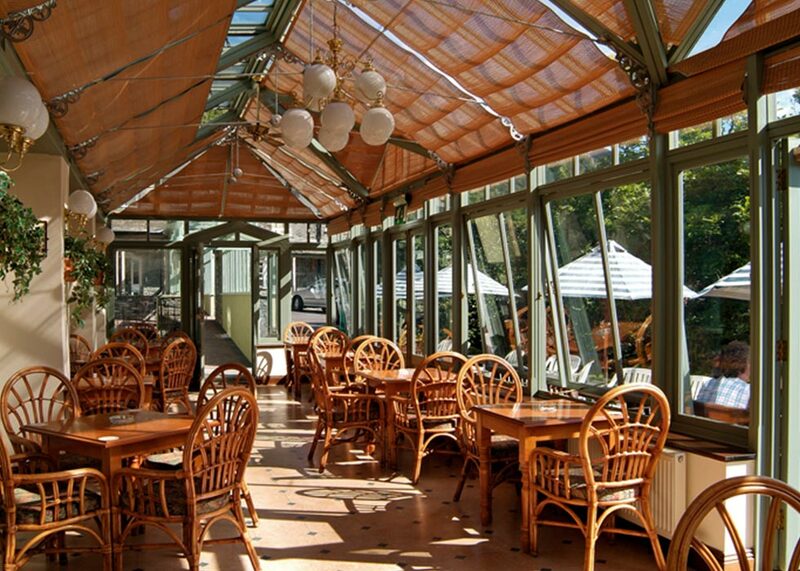 Complete ground floor refurbishment including restaurant, lounges, reception and bar. All bedrooms refurbished. Self catering cottage transformed into 4 brand new bedrooms.